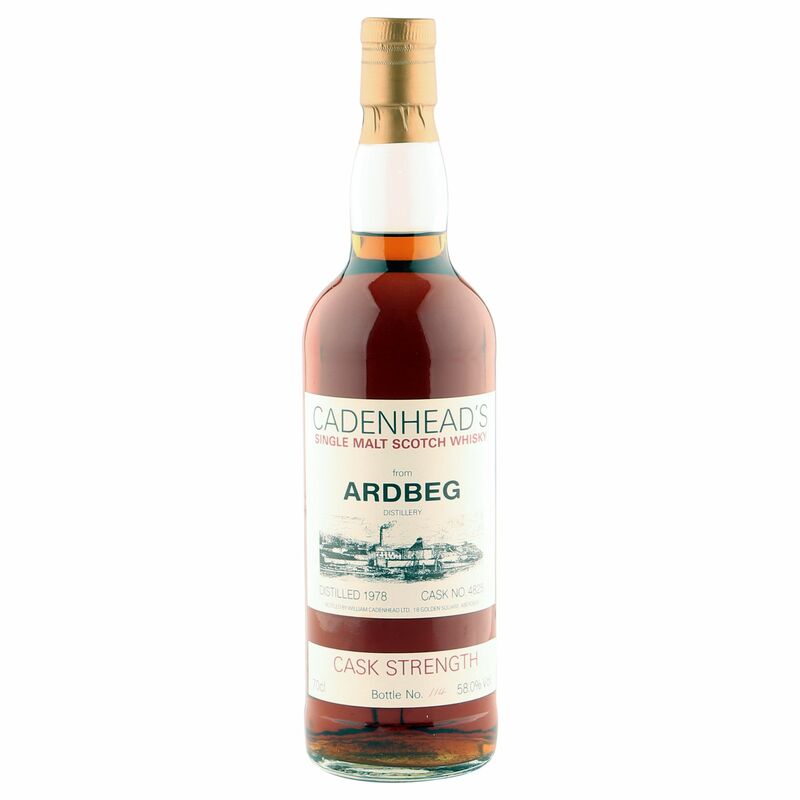 This very scarce Islay single malt was laid down in 1978 at the Ardbeg distillery and bottled at 58% ABV by Wm Cadenhead from cask number 4825 in the 1990's. Bottled as a part of the highly collectible white label Cadenhead's Cask Strength series, this will certainly be on the radar of many Scotch whisky enthusiasts. Hand numbered as bottle 114, this rare specimen comes in great condition with a fill level into the neck - see the image inset for detail.